Guitar Maker’s Festival announces line up. In December last year we alerted readers to the Melbourne Guitar Makers Festival scheduled for 16th to 17th May this year. Their website now features a list of luthiers planning to exhibit at the festival. Barry Kerr’s steady flow of OM models are now sold into the United States but occasionally there are instruments available locally. Phil Carson Crickmore put together a small workshop in 1980 in Warrandyte Victoria and started to build his first guitars and under the mentorship of Master Violin and Cello maker Warren Fordam, Carson Crickmore was introduced to the world of stringed instrument making, at his workshops in Monsalvat Eltham Victoria. 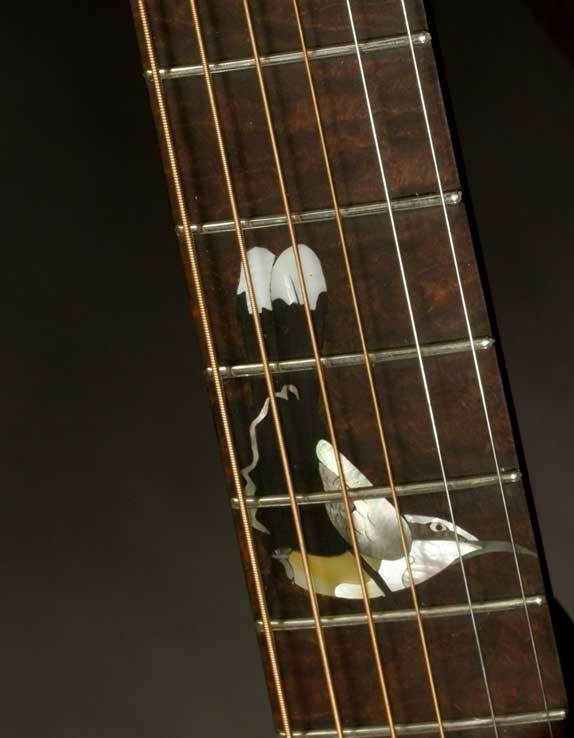 Ian Noyce has been building stringed instruments in Australia since 1975 and has developed an extensive catalogue comprising acoustics, electrics, basses, mandolins, lap steels and resonators. After 30 years of manufacturing musical instruments Ian has a distinctively Australian instrument range that is bold in design with astonishing dynamic range and responsiveness. 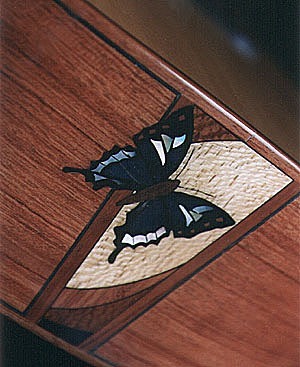 Tim Kill specialises in one off custom designs. He works closely with customers to conceive and create a unique instrument ideally suited to there physically, ascetically and musically needs. Using both tradition and modern inspired techniques that reflect his own personal experiences Tim creates an lyrical and responsive instrument that embodies the highest level of artistry and craftsmanship. James Cargill has been in the business now for nineteen years and has produced some of the countries finest instruments for our top musicians including Tommy Emmanuel, Jimi Hocking, Bo Jenkins, Jack Jones and many more. James’s instruments have a vibrant, stunning sound, are wonderful to play and a vision to look at. 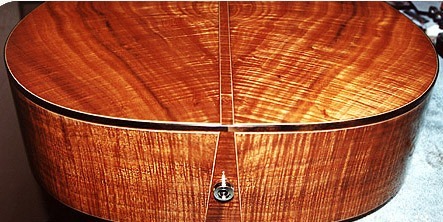 David Worthy is based in Melbourne Australia and has been building instruments consistently since 1996. His guitars have largely found favour amongst fingerstyle players. Worthy Guitar owners include Angela Toohey, Rod Vervest and Billy Thorpe. Joe Gallacher originally from Scotland, moved to Australia in 1989 and has been building guitars, mandolins and Irish bouzoukis ever since. His instruments are influenced by some old guitars he played both in Australia and in Scotland, but has a few of his own successful designs. Joe believes that in Australia we have a wealth of fantastic looking and sounding timbers and have been enjoying using these over the years. Ian Watchorn began his professional career as a maker & repairer of instruments in Sydney, Australia in 1976. He moved to Canberra in 1979 and in 1982 he received grants from Australia Council and NSW Premiers Department to study musical instrument conservation in Germany at the Germanisches Nationalmuseum, NÃ¼rnberg. In 1984 he accepted the post of conservator at the Germanisches Nationalmuseum, and was later acting senior conservator there before returning to Australia in 1987. Since 1990 Ian has worked privately as maker, conservator & consultant in Melbourne, Australia. Jack Spira trained in London in the late 1980’s, Jack Spira has been working in Australia since 1991 and in the Melbourne area since 1999. Due to the customised nature of his work, he makes a wide variety of instruments, many of them one off pieces. They are predominantly flat topped steel string guitars, octave mandolins and the occasional mandolin. Other luthiers this year include Dan Robinson, Sachar Amos, John McGrath and Peter Daffy.